A $20 lens falls below a level of quality needed even for snapshots. I wanted to test a telephoto lens from Photojojo, and one isn’t included in its Iris system, so we turned to its Magnetic iPhone and Android Lens Series, which includes several kinds of lenses, including a 2x telephoto. 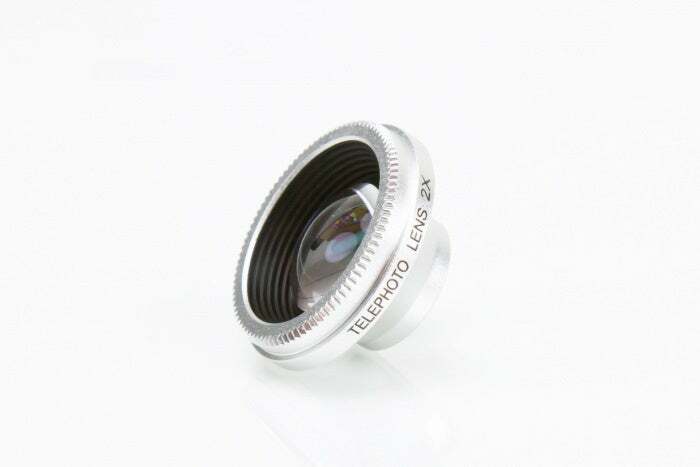 However, the lens quality is too poor to recommend on its own or in combination with other systems. We saw significant blurring and distortion creeping into even the central square framed around the lens center, meaning even slight or square cropping wouldn’t eliminate some of the problem. The telephoto should have been at least worthy of snapshots and online social media, but we find it falls short of even that mark. The magnetic attachment system is ingenious, but in practice, we found the tiny lens difficult to manage and clean. Separately, the lenses in the Magnetic Series are $20 each; there’s also a $50 bundle that includes a fisheye lens, wide angle lens, and 2x telephoto lens. For $100 you get all five lens in the series (the before-mentioned three lens, plus super fisheye and polarizer lenses) and a pouch.